Many thanks for all of you who attended the Canadian Wine Festival saturday, it was a successful day and raised more money for the Alberta Council of Women’s Shelters (ACWS). 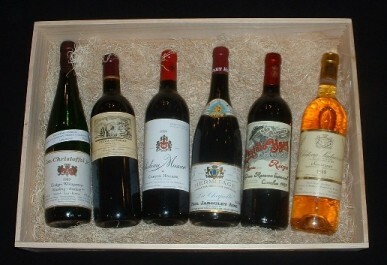 Many attendees added new bids to our on-line and in-store auction. Note that this auction will end at midnight Tuesday, June 30th – in store bidding ends at 8pm while on-line bidding ends promptly at midnight. Winners will be contacted on July 1st, Canada Day. The response of so far has been exceptional and inspirational, and we hope the final days of this auction will push us over the top. In celebration of Canada Day, deVine will hold its annual Canadian Wine Festival this coming saturday at the store from noon to 4pm. A $15 admission fee (all in support of the Alberta Council of Women’s Shelters – ACWS) will allow you the opportunity to sample more than 50 Canadian wines ranging from sparkling, white, reds and dessert wines. No pre-registration is required as this is a drop-in event. While you’re in the store, don’t forget to bid on the over fifty auction items, all on display for your perusing. Father’s Day is this coming Sunday, June 21st. Here are some suggestions for appropriate gift ideas for the occasion.Single Malts are always popular, and the Isle of Arran selected finishes are wonderfully unique and adds that extra dimension to the dram. Try the Moscatel de Setubal Cask Finish ($84.99) that adds some fig and date like textures similar to those of the sweet fortified dessert wine from the Setubal Peninsula region south of Lisbon, Portugal. The Isle of Arran series is unique and well-priced. Also worthy of your consideration is the 1987 Glenrothes ($94.99) from Speyside with its unique bottling given off apricot, honey and delicated sherried character finishing with toffee, heather and minerals, there is also the 1991 and 1994 available. For Bourbon lovers, can’t get better than the Pappy Van Winkle’s Family Reserve 20 Year Old ($169.99), aged for such a long time has great character and so smooth and rich. Has an impeccable reputation to be amongst the best Bourbon Whiskey in the world and heralded in blind tastings. 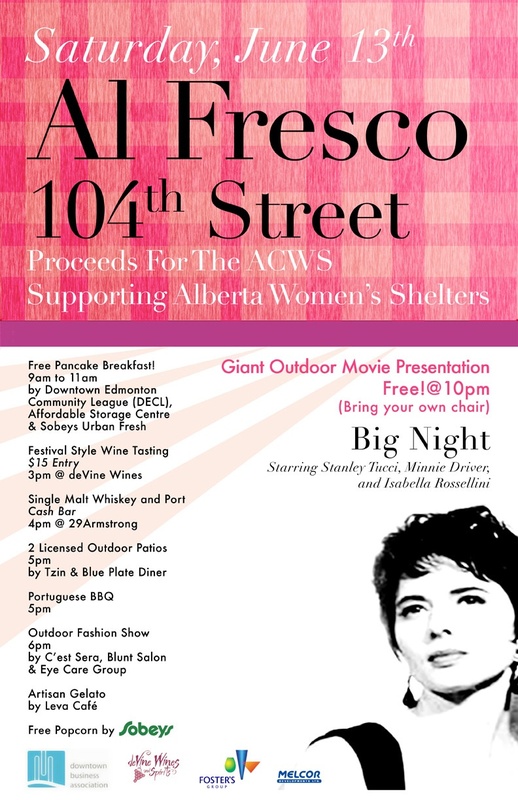 deVine Wines organizes first annual “Al Fresco 104th St.” block party to benefit the Alberta Council of Women’s Shelters (ACWS), Satuday, June 13th. The team at deVine’s has garnered approval from the City of Edmonton to close 104th Street between Jasper Avenue and 102nd Avenue the night of Saturday, June 13th in order to stage an everyone welcome block party culminating with a two-and-a-half storey outdoor movie screen showing of “Big Night” with Stanley Tucci and Minnie Driver. The movie begins at 10pm and is free of charge to the public. Please bring your own chair. Events throughout the day will involve the majority of the businesses on our street. We have also set up an on-line silent auction fundraiser for ACWS with some very exciting items to bid on, check it out here.